Birth-injury attorney Jeff Killino understands how traumatic a birth injury can be for a child and the child’s family. Our attorneys have extensive experience with birth-injury cases, including those involving cerebral palsy that may have been caused by a medical mistake. As a birth-trauma attorney with superior knowledge of cerebral palsy cases, Jeff Killino sits on the board of United Cerebral Palsy. Medical mistakes are responsible for thousands and thousands of cerebral palsy cases and experienced birth-injury attorney Jeff Killino is commit­ted to defending the victims of medical hardships. He has represented individuals who have faced the emotional and financial hardships associated with birth traumas such as cerebral palsy and will examine every facet of your case to identify and pursue your legal options. Contact attorney Killino today at 877-875-2927 for a free evaluation of your case. Approximately 8,000 children are diagnosed with cerebral palsy (CP) every year. CP is a group of disorders involving movement, learning, hearing, seeing, and thinking that occur due to problems with brain development. Injury to the largest part of the brain (cerebrum) can lead to the loss of nerve functions in different areas. Many children with this condition have increased muscle tone (spasticity), which may affect: one arm or leg, one side of the body (spastic hemiplegia), both legs (spastic diplegia), or both arms and legs (spastic quadriplegia). 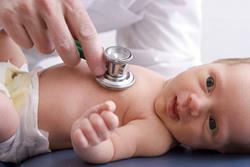 Symptoms of CP usually appear before a child reaches the age of two and may appear when a child is only 3 months old. Because the birth process is full of compressions, contractions, torques, and traction, infants often sustain minor trauma when outside complications arise. In many cases, those outside complications cannot be prevented. Large babies, for example, have a greater risk of birth trauma than do smaller babies. When a medical mistake made by a doctor, nurse, or another healthcare provider, contributes to the injury, however, the infant and family may be entitled to compensation for the damages suffered as a result of these injuries. Birth-injury attorney Jeff Killino will fight zealously on behalf of injured infants and their families to hold the responsible parties accountable. The effects of CP are widespread and may include abnormal movements, abnormal sensations, abnormal muscle tone, decreased intelligence, difficulty sucking or feeding in infants, hearing problems, increased drooling or irregular breathing, learning disabilities, limited range of motion, pain, partial or full loss of movement (paralysis), peg teeth or problems swallowing, seizures, speech problems (dysarthria), urinary incontinence, vision problems, vomiting, and constipation. In some cases, cerebral palsy will result from negligent delivery techniques that cause damage to certain parts of the developing brain as the baby passes through the birth canal. Factors that indicate potential danger during a prolonged labor include the baby getting stuck in the birth canal with no oxygen supply and a doctor’s failure to make sure a baby is delivered within 24 hours of the mother’s water breaking. Both of these extended labor indicators greatly increase the chance of brain damage to the infant, a leading factor in the development of cerebral palsy. Cerebral palsy (or mental retardation) may also develop after a baby suffers hypoxia (lack of oxygen) during the birth process when the umbilical cord became wrapped around the baby’s neck. Medical personnel who fail to recognize the fetal distress and adequately diagnose the cause may be found liable in a medical malpractice for a baby’s resulting cerebral palsy if the negligence of the medical personnel is determined to have been a cause of the child’s CP. The negligence of medical personnel in failing to timely diagnose a child’s cerebral palsy, even if that child’s CP was not caused by medical negligence, may also result in liability on the part of such medical personnel if it is determined that the late diagnosis, and consequential delay in treatment, is a cause of an increase in the child’s CP injuries. The American Academy of Pediatrics (AAP), in an attempt to reduce the severity of children’s CP symptoms, has urged pediatricians to carefully monitor infants and young children for any signs of CP. Many cases of cerebral palsy are caused by something other than medical negligence (malpractice). But, many cases, including those referenced above, are indeed caused by the negligence of medical personnel who may be held liable for such injuries in a medical malpractice action. Proof of causation is a complex aspect of any medical malpractice case, and this is particularly true in cases involving cerebral palsy injuries. Defendants in cerebral-palsy medical-malpractice actions may attempt to limit the scope of errors that may be considered causative of a child’s cerebral palsy by citing to the American College of Obstetricians and Gynecologists’ “Neonatal Encephalopathy and Cerebral Palsy (NEACP)” criteria for determining the causes of CP. Attorneys with a great deal of knowledge and experience with cerebral palsy cases—such as our birth-injury attorneys—will aggressively counter this defense and argue that the NEACP criteria do not contain all of the possible medical-error causes of a child’s CP. Our team of cerebral-palsy child-injury lawyers will thoroughly investigate the causes of your child’s cerebral palsy injuries and fight for the compensation you deserve when medical negligence is determined to be one of those causes. The damages suffered by a child with cerebral palsy may be financially devastating to even the wealthiest family, and many of these damages may be lifelong costs. Statistics show that the average lifetime cost for a person with cerebral palsy is $931,000, and that 91% of these costs (those that are considered indirect costs) include lost wages for persons whose cerebral palsy limits them in the type of work they can perform. Direct, non-medical costs (which account for approximately 9% of lifelong costs according to the same statistic) include home and car modifications and special education. A child whose cerebral palsy was the result of medical negligence may be entitled to damages in addition to those listed above. Compensation may be obtained for past and future medical expenses, surgeries, physical and occupational therapy, psychological counseling, and pain and suffering. If you suspect that your child’s cerebral palsy was caused by medical malpractice, birth-injury cerebral-palsy attorney Jeff Killino has the experience, knowledge, and results to see that you receive the compensation to which you are entitled. Contact attorney Killino today at 877-875-2927 for aggressive assistance in bringing the parties responsible for your child’s injuries to justice.